2 a)	The table below shows the demand and supply schedules for product A in a week. 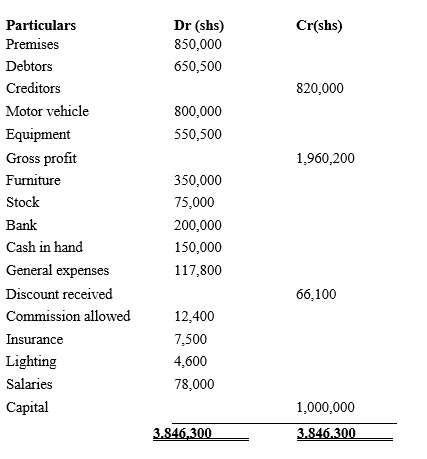 5. a)	The following Trial Balance was prepared by Laketi Traders on 31st December. 2009.